The major update for Sygic for Apple CarPlay connectivity was made by Sygic at Mobile World Congress in Barcelona, Spain. The latest version of the Sygic GPS Navigation app adds another layer of safety to the driving experience, monitoring the tilt of the car, altitude, and g-force. The expert jury at the ICT 2018 conference appreciated the solution’s potential to reduce the time spent in the traffic by more than 20 percent, significantly lower costs and contribution to CO2 reduction in cities. The new Algorithm from Sygic can handle more than hundred of waypoints, can be used as a part of Sygic Navigation products or API embedded into existing solutions and optimizes routes to achieve the best efficiency for fieldworker transportation, waste management, and couriers. Sygic, world’s leading GPS navigation provider, has added public transport route planning support. Users can now plan a trip including a subway or tram ride in hundreds of cities around the world. Both the web planner Sygic Maps and the mobile apps for iPhone and Android contain this new feature. The leading navigation app aims to improve road safety for two-wheelers, which are 28-times more likely to be fatally injured than car passengers. Sygic’s GPS navigation app, which is used by over 200 million people worldwide, is coming on Apple CarPlay. Sygic's “Predictive Routing” feature will cull traffic data from a period of two years to show drivers the most efficient routes - even when cell service is not available. Travel maps for trip planning from the navigation company Sygic are now available in Swedish. Both the web planner Sygic Maps and mobile apps for iPhone and Android, which help people plan travel itineraries and discover interesting places, can be used by Swedes in their native language. Navigation Giant Sygic with more than 200 million users worldwide and Pioneer Electronics, a leading car audio specialist, today announced their partnership. Sygic’s technology is available for iOS and Android smartphone users, and its class-leading Sygic Car Navigation app is optimized to work seamlessly with Pioneer Multimedia Receivers that feature AppRadio smartphone connectivity. Sygic has launched Sygic Maps, the first online map focused on traveling. Unlike other online maps, Sygic Maps displays places of interest directly on the map, making trip planning and navigation easier than ever. Thanks to its integrated itinerary maker, you can build a day-by-day trip plan or just save interesting places for later. The website also features a handy travel guide for more than 10,000 destinations, photo galleries, 360° videos, hotel search, and recommended tours and tickets. Sygic Maps replaces the original Sygic Travel planner. Sygic, navigation leader trusted by 200 million users worldwide, unveils the cooperation with the first Smart Device Link [SDL] technology integrated partner in Asia. Sygic’s technology is available to iOS and Android smartphone users and its class-leading Sygic Car Navigation app is optimized to work seamlessly with SDL technology in newly introduced Datsun vehicle. Sygic, the world’s most advanced navigation app, today unveiled its Smart Mobility Platform for cities. Advancing beyond navigation apps geared specifically towards individual drivers, the platform offers local authorities tools to analyze, develop and implement an intelligent traffic management system comprised of high-performance computation backend services and mobile applications for commuters. Sygic, the leading GPS technology company has announced a partnership with innovative addressing system what3words. Sygic Business Solutions and consumer apps are used by over 200 million drivers and 2,000 fleets worldwide including MiX Telematics, DISH, Hermes, and they were the first GPS app to partner with Ford. The partnership will initially focus on Sygic’s business solutions for taxi, public transport, delivery and construction clients with the aim of a wider integration into Sygic’s commercial products. Clients will simply be able to turn on 3 word addressing within their existing solutions in the coming months. Panasonic today announced that Sygic has joined its Independent Software Vendor Partner Programme to offer the most advanced mobile navigation solutions with its range of Panasonic Toughbook rugged notebook, Toughpad tablets and handheld devices. Sygic’s navigation, mapping and routing solutions are designed for the transport and logistics industry, field workforces and the emergency services and are already trusted by more than 2000 fleets and one million professional drivers around the world. Sygic, the world’s most advanced navigation app, today unveils its new Driving Assistant feature for Ford vehicles. The Driving Assistant is a voice-controlled, interactive co-driver feature that allows drivers to ask about nearby rest-stops, restaurants, hotels, and even traffic jams along route – all while keeping their hands on the wheel and eyes on the road. Sygic Travel, a global vacation planner, has released its White Label Planner – a B2B solution for travel businesses. The White Label Planner is available in 14 languages, contains information about 20 million tourist places worldwide and allows people to easily plan a trip or vacation. The ready-made planner will be of use to various travel agencies, bus & train operators and airlines, but also to professional travelers. It will bring them higher customer loyalty and extra revenue. Sygic, the Slovak company which is a localization and navigation solution leader, has announced its new CEO. Since January 2018, the company is led by Martin Strigač, who to date had managed the department for business customers - Sygic Enterprise Solutions. Sygic Travel now provides offline database of more than 20 million points of interest tailored for the travel industry. The database contains comprehensive information about places such as descriptions, photos or 360° videos. With the help of this service, companies can offer rich destination content, build landing pages and travel guides or enrich their emails to customers with destinations info. Sygic, the world’s most advanced navigation app, today unveiled its new alcohol calculator feature. The new functionality will be available to all users of Ford vehicles equipped with the Sync 3infotainment system, and for other platforms including MirrorLink 1.1., Jaguar and Land Rover InControl™ Apps and HondaLink App in the coming weeks. Global planner Sygic Travel reveals that 85% of people have planned their vacation on a smartphone or tablet in 2017 while just 4 years ago they preferred a web planner. Statistics also reveal that Android users are more conservative while spending money on accommodation or tours via mobile devices than iOS users. In 2017 the most popular destination worldwide was London together with its famous Big Ben. The Sygic GPS Navigation app, trusted by 200 million users worldwide, has been revealed as the Number 1 app in the navigation category of the Huawei AppStore, which will be launched across Europe soon. Navigation company Sygic is sending its professional traveler ‘Michal’ around the world for one year to build an extensive library of VR footage from the most spectacular global destinations. The videos are to be featured in the company’s new version of its VR travel app, released today. The world’s leading flight search engine Kiwi.com enhances its mobile application by introducing a trip planning section. Apart from selling tickets, Kiwi.com will be helping its customers organise their holidays. The data, provided by Sygic Travel, contains tourist maps of the world, 20 million sights and travel places, 2 million hotels, and 70 thousand tours and activities. The travel content is displayed in the app upon purchasing tickets. Sygic, the leading GPS technology company, will be introducing its Sygic Mobility Development Kit (SDK) at the MWC 2017 in San Francisco, the premier mobile industry event for the Americas. From September 12-14, developers can explore the Sygic Mobile SDK demo at booth w.621 at the NEXTech pavilion. Finding available parking spot in the bigger cities is getting not just more difficult, but also more expensive. Reaching the garage closest to final destination with the online booking option was never easier. The Real Time Parking Service feature in Sygic Car Navigation now navigate drivers and save their money. Data from the global trip planner Sygic Travel show that during this summer, people have used their smartphones to create a holiday itinerary five times more often than their desktop computers. There is also a continuous growth in the numbers of purchases made via smartphones. Since the beginning of this year, the number of people booking a hotel room or a tour via Sygic Travel has been growing by 10% every month. Most purchases are made by people planning a trip to Paris, New York City and London. The most popular sights in Sygic Travel are currently the Charles Bridge in Prague and London’s Big Ben and Buckingham Palace. Advanced gps navigation app Sygic today announces its new augmented reality (AR) feature. More than 200 million Sygic users worldwide can engage with AR for an improved navigation experience on the road. Sygic Travel offers more than 1 300 travel videos in 360° in its web planner and mobile apps. Thanks to the database, unmatched by any other, people can find themselves in the world’s most beautiful places from Barcelona to Bangkok, but also in a hot air balloon above Cambodia’s Bakong Temple, driving a rickshaw through an Indian market or riding a camel near the Pyramids of Giza. The videos are shot by Sygic Traveler Michal Gálik, who has been traveling and recording the videos for months. Currently he is about to visit Paris, London and Amsterdam; later this year he will visit the United States. Global trip planner Sygic Travel is now offering its data and travel planning tools to third-party companies in the travel and tourism industry. The content, which has already been used by millions of satisfied travelers, includes 20 million points of interest, 2 million hotels, 70,000 tours and thousands of 360° videos. It can be used to create custom-made travel guides, to display popular places located nearby or to add a trip-planning abilities to websites and mobile apps. Individual points of interest are matched to relevant tours and activities, which other companies can offer to their own customers, earning ancillary revenue. Sygic today announced the launch of the completely new version of the Fuelio, fuel cost and mileage tracking app for Android. Global travel planner Sygic Travel is now available in total of 14 languages. With the recent update, both the travel content and the user interface – the complete menu and all the buttons in the app – can now be displayed in Polish, Korean, Chinese and Turkish. While the iOS app is mostly downloaded in the US, France and Germany, the Android version is most popular in Germany, the UK and the US. During the high summer season, more than half million people use the app every month. Car Navigation app from Sygic, which has more than 150 million users and worldwide coverage, today unveiled a new functionality that allows users to monitor fuel prices and subsequent costs in real-time. Sygic is the first GPS app to partner with Ford. With more than 150 million users and worldwide coverage, Sygic’s technology is available to iOS and Android smartphone users and its class-leading Sygic Car Navigation app is optimized to work seamlessly with Ford’s SYNC® 3 vehicle touchscreen. GPS navigation leader, Sygic, today launched its real-time location and route-sharing feature, now available to all premium users. This most recent integration has been made possible through Sygic’s partnership with Glympse, and means that drivers now have a simple way to communicate their travel plans and progress like never before. GPS navigation leader, Sygic, today launched its travel VR app. Now anyone with the Samsung Gear VR powered by Oculus VR headset can experience the far corners of the globe, helping users to make informed decisions for upcoming vacations. Users can now try a new version of Sygic Car Navigation for iOS for 7 days for only 0.99 €. All the premium features are available, including car connectivity with InControl™ and Honda Display Audio. This update also includes new, updated maps and new Live Services in-app purchasing. Sygic, creators of the most advanced navigation app, has teamed up with Forward Thinking Systems, the standard in vehicle and asset tracking software, to streamline compliance for fleets while improving the safety of long-haul truck drivers with Rest Stop Planning. Route optimisation specialist Route Monkey has signed a partnership agreement with global GPS navigation expert Sygic. Sygic, creator of the world’s most advanced navigation app, has revealed that all users of its popular Family Locator app will have access to its renewed Flight Tracker feature. Previously only available to premium users, now parents can track their children wherever they are in the world. GPS app Sygic, which has more than 130 million unique users around the globe, has revealed a new functionality that allows users to fuel usage and subsequent costs. Announced during the SITL EUROPE tradeshow 2 weeks ago in Paris, Masternaut has just signed a new partnership with Sygic, producer of the most advanced navigation app with SDK for professionals of transport and logistics sectors, but also municipal services. Sygic, the global leader in GPS navigation apps used by 130 million people across the globe, today launched its travel companion platform, Sygic Travel. The new enterprise aims to transform the entire travel experience by offering customers help at every stage of their trip; inspiring, planning, booking and tailoring the entire vacation through just one app. Sygic, the leading international provider of professional GPS navigation and location based services with more than 130 million users, has announced the release of Sygic Municipal – a unique solution for waste and winter management, street cleaning and green area maintenance. The solution helps to better handle the major challenges in planning, dispatching, navigating and monitoring the fleet of vehicles used by service providers. It is fully prepared for integration and customization to bring additional value to our partners and system integrators to tightly fit and interconnect with their complex telematics systems. Sygic, the global leader in the most advanced GPS navigation apps, today added 88 new maps to its portfolio. The world’s most installed offline GPS navigation app, Sygic has now doubled its coverage worldwide - including popular travel locations in Latin America, Asia and Africa. Sygic GPS Navigation is now available to users in every UN recognized state, furthering its mission to guide every single person in the world. Sygic, the most downloaded truck navigation app on Android, today launches its navigation app for RVs, buses, delivery vans and large trucks on iOS, which is now available for download on both iPhones and iPads. The company is also launching a major update for its Android service. Sygic Launches the Most Advanced Real-time Parking Service by Parkopedia in its Navigation app, Used by 100 million drivers Worldwide. Sygic today announced the launch of the new version of its GPS navigation app. The new version features an integration with Parkopedia which will allow subscribers around the world to locate and reserve a parking spot from their smartphone. Sygic, trendsetter in connected navigation, is pleased to announce new version of its Sygic Car Navigation for connected cars. 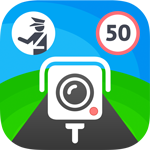 The new version of this most advanced navigation app brings the combined power of the most popular online features– Real-Time Traffic and Mobile Speed Camera Warnings, in one amazing add-on product – Live Services. Sygic, the global leader in connected navigation, is pleased to announce its renowned Sygic GPS Navigation as the first hybrid navigation app for Apple Watch. This exciting application update delivers the latest in Sygic’s sophisticated navigation and sleek progressive design to the wrists of Apple Watch users worldwide. Sygic announced a new product to make driving safer as millions of truck, RVs and bus drivers hit the road for the holidays. Sygic’s Heads-up-Display (HUD) projects navigation information onto drivers’ windshields, so they never have to take their eyes off the road to look down at their navigation software. Sygic, the global leader in connected navigation, is pleased to announce its free new update for Sygic GPS Navigation for Apple iOS. Sygic is revolutionizing the navigation experience by adding millions of crowd-sourced reviews and recommendations from the leading travel experience resources. Bratislava, Slovakia - Sygic, the global leader in GPS navigation with over 85 million users, has announced the release of Sygic FleetWork – Professional navigation bundled with fleet and workforce management cloud-based services. Sygic FleetWork is easy to use out of the box, and is ready for integration with enterprise systems. Sygic, trendsetter in connected navigation, is pleased to announce that Sygic Car Navigation now has MirrorLink Europe and North America Drive Certification, with certification in Japan expected in the second half of 2015. This certification was awarded by the Connected Car Consortium, the organization driving global technologies for phone-centric car connectivity solutions. In the next few months, users of all smartphones in the world with MirrorLink technology will be able to use the most innovative hybrid navigation application, Sygic Car Navigation, in their vehicle’s infotainment system. Trendsetter in connected navigation, Sygic is pleased to announce its latest cutting-edge application, Fuelio. Using Fuelio, drivers can track their fuel consumption and other costs relating to their vehicles quickly and easily through their mobile device. This new addition to Sygic’s rapidly expanding innovation portfolio allows users worldwide to log, compare, analyze and share their fill-ups and other expenses like never before using Sygic’s sleek user-friendly design. Navigation frontrunner Sygic is pleased to reveal that its premier Sygic Car Navigation will soon available for PSA Peugeot Citroën through MirrorLink. Navigation trailblazer Sygic is thrilled to announce that Sygic GPS Navigation is now available for Windows Phone. This much-anticipated release places the latest in cutting-edge GPS navigation, innovative design and premium Sygic amenities at the fingertips of Windows Phone users for the first time. The chart-topping Sygic GPS Navigation is now the most accessible hybrid navigation application for smart devices and connected cars ever created for the mass market. Sygic Connecting Internet of Things, Navigation thru Advanced Mobile to Automotive Technology.